Ricky Skaggs and his band Kentucky Thunder will make its debut at Spoleto Festival USA with performances May 31 and June 1 in the College of Charleston Cistern Yard. Russ Carson from that band will be one of the tutors at this year’s Bluegrass Conference in Maleny. Skaggs, 63, is a country and bluegrass musician who has earned 15 Grammys and numerous other accolades. He was inducted into the Country Music Hall of Fame in April. In anticipation of his Charleston appearance, The Post and Courier asked him a few questions. Jimmy Fortune, a Country Music Hall of Fame inductee and member of the legendary Statler Brothers, has just completed an all-new recording, Jimmy Fortune: Sings the Classics. The album, which will be available from 21st April, features collaborations with longtime friends Ricky Skaggs, The Isaacs and the Voices of Lee. The Gaither Music Group project will be available at music retailers everywhere, along with Cracker Barrel Old Country Store locations nationwide. This project is very special and dear to my heart. A lot of hard work and thought went into picking each song, songs that shaped my life. I love them all and I think anyone who hears it will feel the same way – Jimmy Fortune. Known for his unmistakable tenor voice that has captivated audiences throughout his 21-year tenure with The Statler Brothers, Fortune puts a new twist on some of his old favourites on the upcoming album. 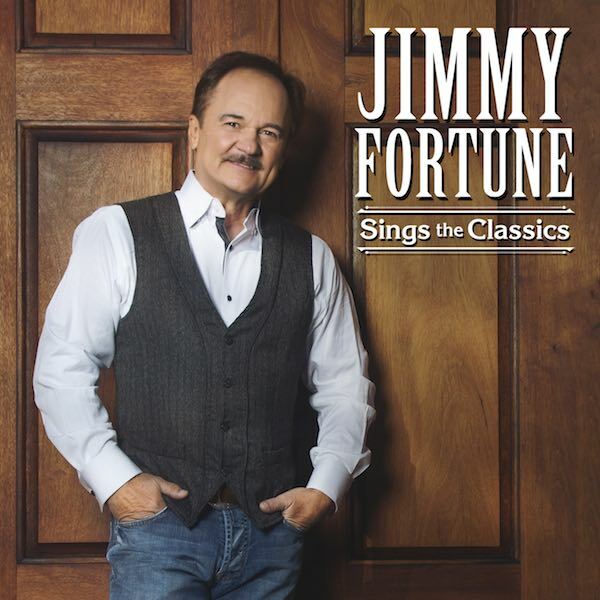 Jimmy Fortune: Sings the Classics features 14 new studio recordings of classic songs that have all left their mark in music history. Standout tracks on the project include the classic Hank Cochran-penned “Make the World Go Away,” which has been recorded over the years by some of music’s greatest voices including Ray Price, Eddy Arnold and Donny & Marie Osmond. Another highlight is the country classic “Take Me Home, Country Roads,” which is one of the most well-known songs in the history of the genre. Paying homage to his Statler Brothers’ heritage, the project also features a new recording of the signature Grammy Award-winning hit “Flowers on the Wall,” a tune which Fortune knows well, as it was the first major hit for the iconic quartet. The past year has been a career-defining time for Fortune, who was honored by the Academy of Country Music at the 10th Annual ACM Honors with the “Cliffie Stone Pioneer Award” for his incredible contribution to country music, along with each member of The Statler Brothers. The Gospel Music Hall of Fame hit maker also received his first GMA Dove Award for “Bluegrass Recorded Song of the Year” for the track “Life’s Railway to Heaven” featuring The Oak Ridge Boys and found on his previous critically acclaimed album, Hits & Hymns (Gaither Music Group). Jimmy Fortune will be hitting the road in 2017 in support of the upcoming album, with a 40-plus city tour where fans can hear him sing No. 1 Statler Brothers’ hits such as “Elizabeth,” gospel favourites, and classics featured on his upcoming album. Fans who want an up-close and personal experience can set sail with Fortune on the 14th Annual Jimmy Fortune Alaskan Cruise, set for departure this July. The recording will be exclusively distributed by Capitol Christian Distribution and Universal Music. It will be available throughout general market stores and the Christian marketplace and through online retailers including iTunes, Amazon, Walmart, Crackerbarrel and www.gaither.com. 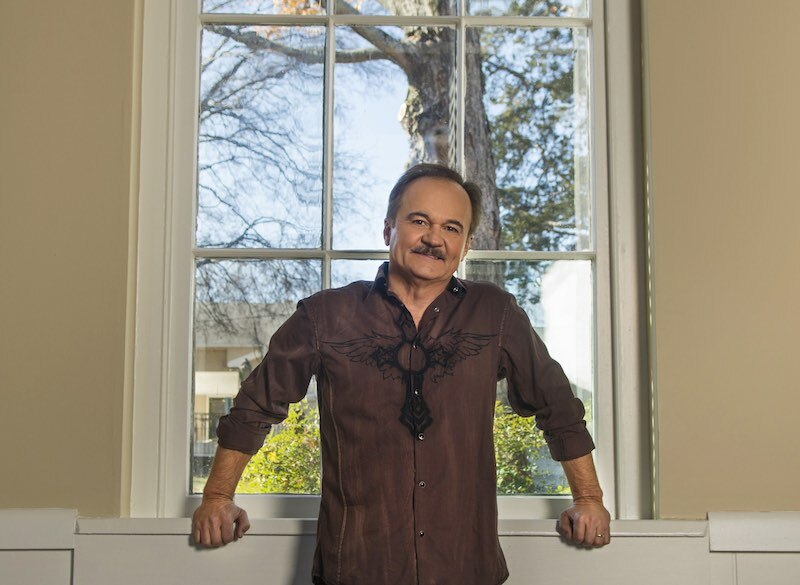 For further information regarding Jimmy Fortune, visit his website or follow his facebook page. Jimmy Fortune toured, sang and performed with the legendary Statler Brothers for 21 years. He joined them first as a temporary replacement for Lew DeWitt, after DeWitt heard him singing at a ski resort and recommended him. Following an audition in Nashville, Jimmy was contacted by The Statler Brothers and performed his first show with them on January 28, 1982, in Savannah, Georgia. Due to the debilitating effects of Crohn’s Disease, Lew was unable to return to the stage with the Statlers, and Jimmy was hired as a permanent replacement in August of 1982. Fortune quickly lived up to his name. He wrote the group’s second No. 1 hit, “Elizabeth,” on their 1983 album Today, and followed that with two more No. 1 hits –“My Only Love” (from 1984’s Atlanta Blue) and “Too Much on My Heart” (from 1985’s Pardners In Rhyme). Fortune also wrote the Top-10 hit “Forever” from 1986’s Four for the Show and co-wrote the top-10 hit “More Than a Name on a Wall” from 1988’s The Greatest Hits. Jimmy and The Statler Brothers were inducted into the GMA (Gospel Music Association) Hall of Fame on October 29, 2007, and inducted into the CMA (Country Music Association) Hall of Fame on June 29, 2008. After The Statler Brothers retired on October 26, 2002, Jimmy seized the opportunity to launch a solo career to share new music with his fans. His first solo CD, When One Door Closes, was released August 2003 on Audium/Koch. He released a gospel album, I Believe, in June 2005, a Christmas CD, Feels Like Christmas, in 2006, a live concert DVD in 2007 a country CD, Windows in 2009, Lessons in 2012, and Hits & Hymns CD and DVD through Gaither Music Group in 2015. The DVD debuted at #1 on the Billboard sales chart. Jimmy is currently living in Nashville, writing, and touring. 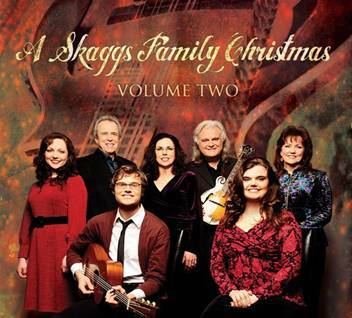 Christmas time’s a-coming, and holiday music fans will find a special treat in A Skaggs Family Christmas Vol 2 which was released in September this year. This new disc comes with a bonus DVD filled with 26 performances of traditional seasonal favorites along with some new compositions that are set to become holiday treasures. For Skaggs, a 14-time Grammy winner, the Family Christmas projects are a true labor of love. Ricky, his wife Sharon and their children (Luke and Molly) are joined by Buck and Cheryl White, and Cheryl’s daughter, Rachel Leftwich, part of the Skaggs’ extended family and members of a celebrated musical clan in their own right. Also featured are world-renowned Kentucky Thunder and The Nashville Strings. We released Volume One back in 2005 because our fans asked us for it. We didn’t know if we’d ever do another one, but we’ve heard from our fans and they’re ready for more Christ­mas songs, so here’s Volume Two. It was a joy to create and we’re excited to share it – Ricky Skaggs. The 10-song CD features both studio and live recordings, and the disc kicks off with the upbeat bluegrass arrangement of Christmas Time’s A Coming, which segues smoothly to showcase Sharon White Skaggs and her sister, Cheryl, trading lead vocals on the bright, acoustic, Light of the Stable. An a capella version of The First Noel finds Ricky singing lead, while the signature vocals of the White sisters excel on the high and low harmonies. Heavenly voices rise in praise on the classic seasonal favorite, Silent Night, which also features a poignant mandolin and soaring strings. Molly Skaggs shines on What Songs Were Sung, proving she’s more than worthy to carry on the families’ traditions, while brother Luke burns up the fret on his own composition, the intricate instrumental, Flight To Egypt. The modern Reunion Song features a deceptively simple sing-along melody, and Ricky not only triumphs on the lead vocal, but also plays Guitars, Mandolin, Gut String Solo and Dan Electro. Skaggs’ lightning-fast finger pickin’ guitar lick jump-starts Children Go and the vocal interplay between the family members (Ricky, Buck, Sharon and Cheryl) should leave listeners breathless. A haunting, original arrangement and expressive vocals by Luke, Molly and Rachel highlight Oh Come, Oh Come, Emmanuel, and the disc closes with a classical instrumental interpretation of Joy To The World. As a bonus, A Skaggs Family Christmas Live DVD is included with the CD. The DVD features the family’s heartwarming holiday concert, recorded live in Nashville at the historic Ryman Auditorium. The three generations have taken this special show on the road for the last eight years, and the tradition continues this year, with the troupe performing at a variety of venues throughout the holiday season. We started singing these songs in our living room all those years ago, with no idea that we would ever take A Skaggs Family Christmas to so many places. We’ve performed everywhere from churches to symphony halls to the National Tree Lighting Ceremony in Washington D.C., where we sang for President George W. Bush. The recording process, the performing and traveling has been so much fun! It has been such a blessing to share all of this as a family – Sharon White. You can explore the history of the Skaggs Family and more at www.skaggsfamilyrecords.com. Musical legend Ricky Skaggs’ newest CD, Country Hits Bluegrass Style (Skaggs Family Records), will be in available from Tuesday, 19th July. The 14-song release is a mix between Skaggs’ country and bluegrass roots, something he has been sharing with fans around the country during his current Treasure Chest Tour. SFR tells us that both bluegrass and country lovers alike will enjoy the bluegrass instrumentation along with the impeccable tenor voice of Ricky Skaggs, the man who single-handedly saved country music in the early 80’s, according to renowned guitarist and producer, Chet Atkins. Ricky’s eight-time IBMA Instrumental Band of the Year, Kentucky Thunder, along with some of Ricky’s original award-winning country band alumni, and special friends add to the magic of this album. We did such good music in the 1980s and early ’90s that a lot of fans still shout out ‘Honey (Open That Door),’ and I felt like we needed to do those songs for them, too. For years now I’ve had fans come up and ask me to do a CD that would have my old country hits on it. So here it is, done a little different than the original recordings. These were done in more of a bluegrass style. Folks have loved it when we play them on the road. Sure hope you love them too – Ricky Skaggs. Skaggs’ first two country #1 singles and standouts on the new album, Crying My Heart Out Over You and I Don’t Care, are accompanied by eight more #1 country hits, such as Cajun Moon and Highway 40 Blues. Ricky’s superior guitar skills are showcased throughout this bluegrass rendition of his fan-favorite classic, Country Boy. Other songs include Uncle Pen, the first bluegrass tune ever to hit #1 on Billboard’s country chart, Don’t Get Above Your Raising, He Was On To Something (So He Made You), and Somebody’s Prayin’. 14-time Grammy Award winner Ricky Skaggs is well known for both his country music classics as well as his bluegrass hits. Skaggs started his own record label, Skaggs Family Records, in 1997 and has since released 12 consecutive Grammy nominated classics. He has won a total of eight ACM Awards and eight CMA Awards, including CMA Entertainer of the Year in 1985. Skaggs’ latest album, Mosiac, released in August 2010, marked his return to a full band sound with melody and lyrics that speak to his faith. Skaggs and his band, Kentucky Thunder, are currently on the road for the 2011 Treasure Chest Tour. 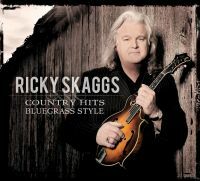 Ricky Skaggs legendary, multi-talented and 14-time Grammy award winner plans to release his Country hits in a Bluegrass style album in mid July this year. The album will consists of 14 some of his biggest hits done in bluegrass style. The album will feature ten No. 1 singles, including Crying My Heart Out Over You, I Don’t Care and Cajun Moon. Other songs include Uncle Pen, the first bluegrass tune ever to hit No. 1 on Billboard’s country chart, Don’t Get Above Your Raising, He Was On To Something (So He Made You), and Somebody’s Prayin’. Already a 14-time Grammy winner Ricky Skaggs latest albums have received three nominations for the 53rd Annual Grammy awards. Albums Solo and Mosaic picked up nominations for Best Traditional Folk Album; Solo: Songs My Dad Loved for Best Pop/Contemporary Gospel Album and Mosaic Best Gospel Song. Skaggs’ label Skaggs Family Records picked up four overall nominations, as Cherryholmes’ Tattoo Of A Smudge received a nomination for Best Country Instrumental Performance. The song is from their latest release, Cherryholmes IV Common Threads. After hearing of Jim Mills’s departure from Ricky Skaggs band Kentucky Thunder last month, news has emerged that Justin Moses recently of the Dan Tyminski Band will take up the banjo duties. 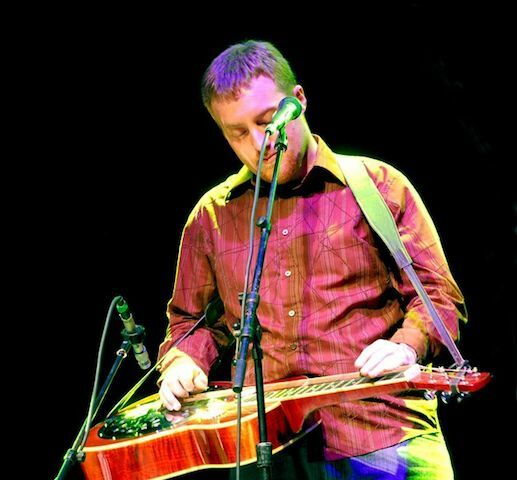 Justin Moses is a multi instrumentalist at home on the mandolin, guitar, banjo, fiddle, dobro and bass. He’s been playing music since the age of six and began traveling with his family’s gospel group. In his teenage years he entered and won several regional contests, on multiple instruments. Just after graduating high school he helped form the East Tennessee band Blue Moon Rising in 2000. Justin then went on to become a founding member of the band Sierra Hull & Highway 111, performing with Sierra in 2005. Justin released a solo instrumental CD Dusty Roads in 2006. He spent time with bands Blue Moon Rising and NewFound Road in 2006 and 2007 and more recently with the Dan Tyminski Band. Justin made his Grand Ole Opry debut in 2008, and has become an in-demand session player. Ricky Skaggs has a new album soon to be released. Skaggs is one ofÂ Country Music’s best-selling artists and is no stranger in Bluegrass circles with an string of very successful albums in both camps. Skaggs, a 14-time Grammy winner, has worked closely with fellow Grammy winner Gordon Kennedy, known for his work with Eric Clapton, Garth Brooks and Bonnie Raitt. ...an album that mixes elements of Country music with Beatle-esque melody and lyrics which speak to my faith, making music that is in my head and in my heart. The title track, Mosaic, signals all to realize that no matter how small we feel sometimes, we all have a unique place in life. With Mosaic, Skaggs and Kennedy take mandolin, banjo, acoustic guitar and violin and mix them with percussion,Â hammered dulcimer, strings section, bagpipes, bouzouki, electric guitar, keyboards, slide guitar and more. 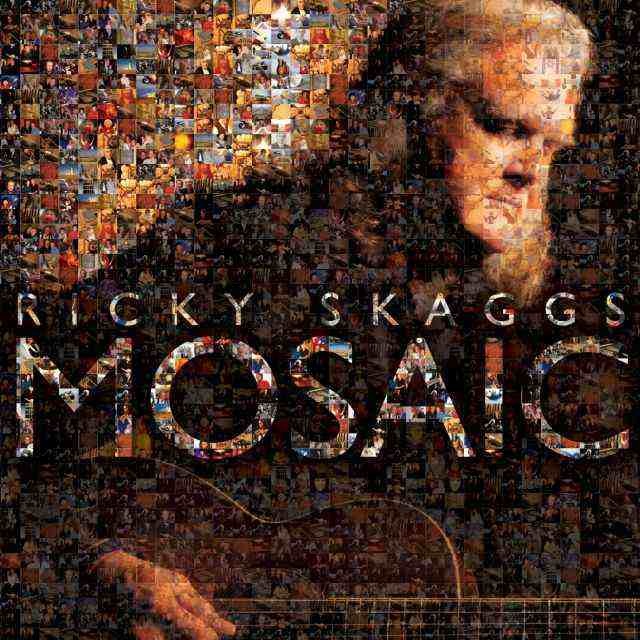 Mosaic is due out August 24 on Skaggs Family Records. The musical make up of this album may well signal a new direction for Skaggs and Kentucky Thunder, after the recent departure of long time banjo player Jim Mills in pursuit of his own career a short time ago. Does this album see Skaggs returning to the Country Music arena? Ricky Skaggs has announced that his long time band member and friend Jim Mills is departing the band, Kentucky Thunder. Jim Mills has been a member of Ricky Skaggs’ band, Kentucky Thunder, for the past 13 years. As a banjo player and musician Jim has been tremendously successful in his own right. 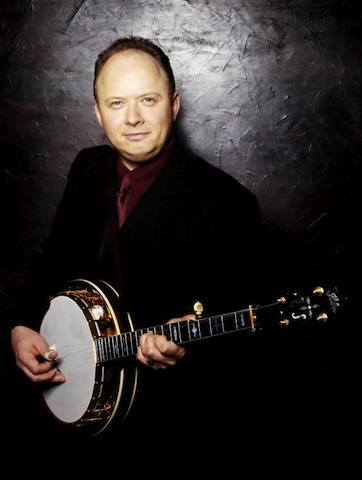 He has won the International Bluegrass Music Association’s Instrumental Performer of the Year several times. He leaves to focus on his musical career and develop his music business. I have been on the road for most of my life. It will feel good to control my own schedule and spend more time focusing on my banjo business – Jim Mills. Jim Mills is noted for his traditional hard-driving bluegrass style and has recorded two albums of his own, Bound To Ride and My Dixie Home. He has also been voted IBMA’s Banjo Player Of The Year 6 times by his peers. I am very happy for him and supportive of his decision, although it will be a challenge to replace such a talented musician. Smilin’ Jim Mills will always be remembered with affection and joy, and we will be sure to miss him in the days to come – Ricky Skaggs. Going 333-feet below the ground, Ricky Skaggs & Kentucky Thunder along with Cherryholmes, Mountain Heart and 18 South will be featured on a new musical adventure series, bringing bluegrass music to national US audiences. This special series, Bluegrass Underground, will be videotaped in the acoustically pure Volcano Room, deep inside Cumberland Caverns near McMinnville, Tennessee. The one-of-a-kind performance will be on 22nd May at 1:00 pm. Todd Mayo, president of Loblolly Ventures, the production company for Bluegrass Underground, says his series is, “A little bit bluegrass, a little bit underground”. Tennessee abounds with great music and great natural beauty and both will be on display underground this May.